Back Stems (Tubes): Our back stems are of great quality. Attach to grip well and are a perfect fit for your machine. 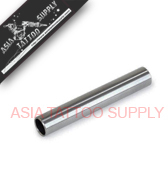 Keeps you steady and smooth while tattooing.